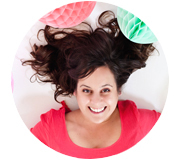 The first party hack is obviously the most important—how to keep all those kid spills at bay! Luckily, Glad Press’n Seal creates an airtight seal to keep your food fresher longer and your drinks completely spill proof! Just cover the top of each drink and poke the straw through for an instant cup cover that will prevent the tables and ground from getting sticky from kids’ spills. My kids LOVE a great balloon drop. I think every human actually does. I mean, how can you not? 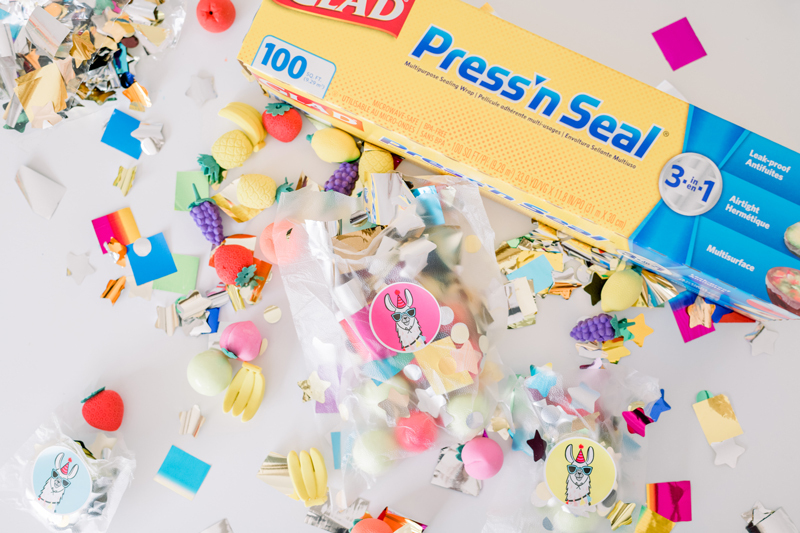 Creating one is totally accessible and easy since Glad Press’n Seal seals to almost any surface. 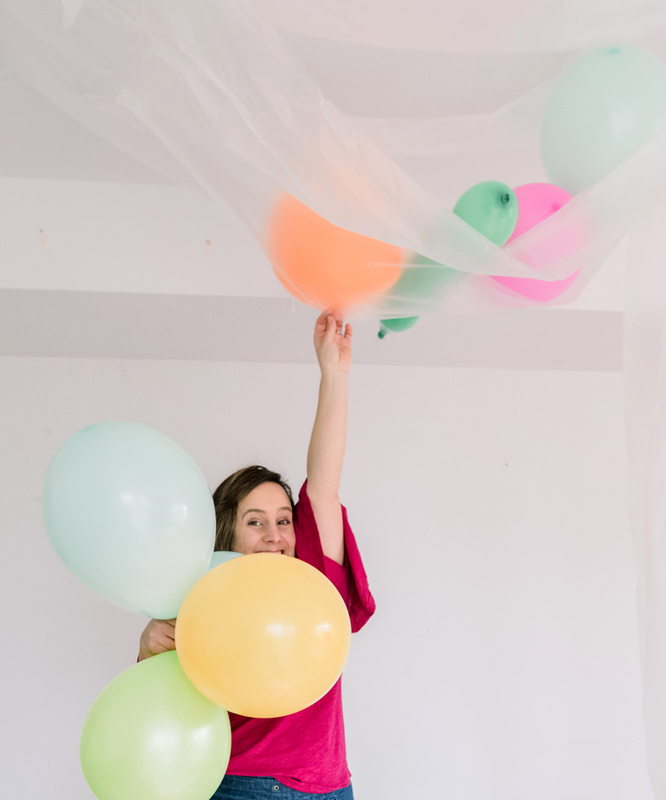 To create the balloon drop, we stuck one layer of Glad Press’n Seal to the ceiling and secured it with push pins to ensure it stays in place when we do the drop. We then layered a second layer, attaching it to both ends by simply pressing and sealing. Easy as pie. 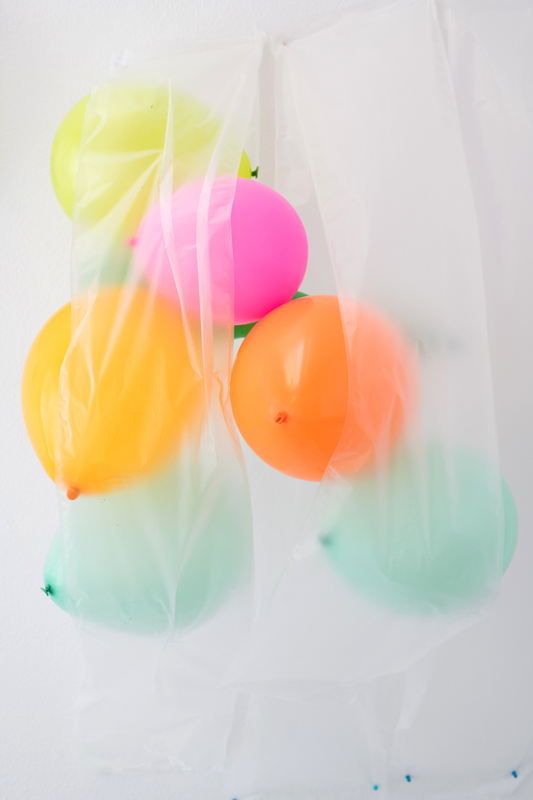 Fill it with balloons and at the right time, pull down the second layer to allow the balloons to fill the room. 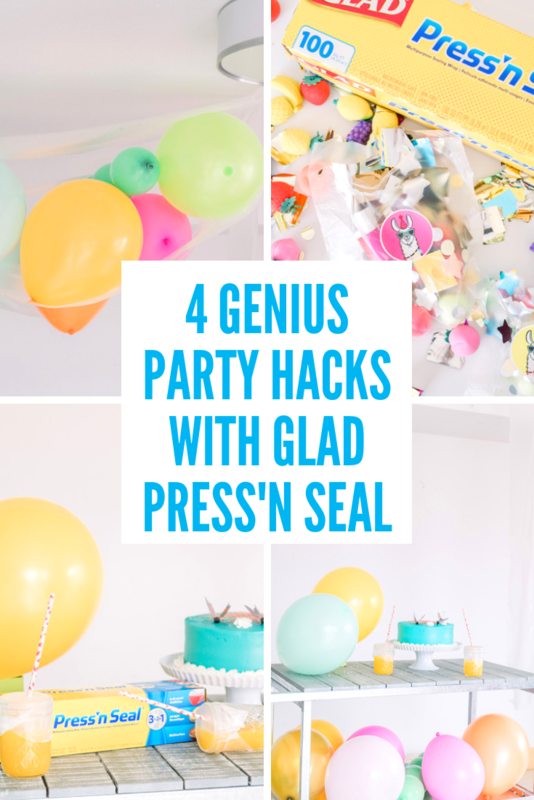 Party favor bags can also be made at a last-minute quick dash by folding the Glad Press’n Seal in half and pressing in the sides while leaving the top open. Fill with goodies and top with a cute Llama sticker for party favorite the kids will adore. The biggest deal at any party is the cake! 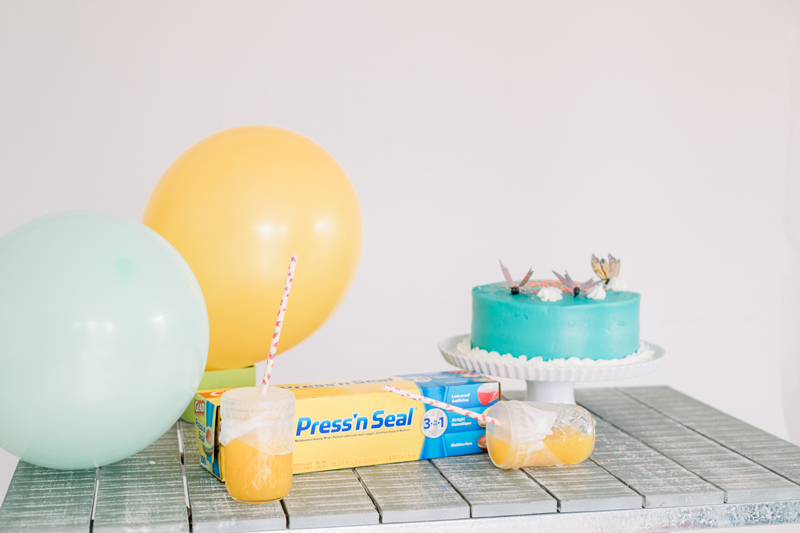 Create one that stands out by using Glad Press’n Seal to ensure the cake stays fresh longer and to allow for the cake toppers of your dreams that are also sanitary to eat. 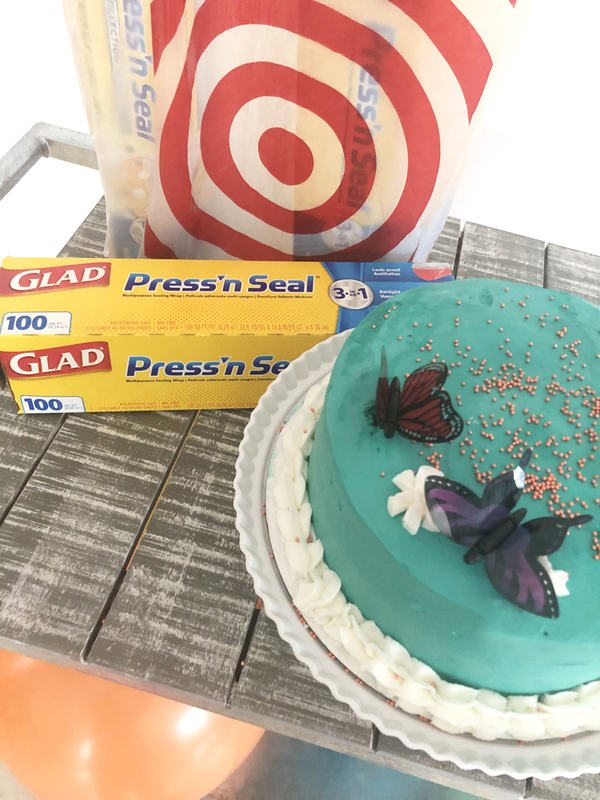 From stuffed animals to your kids’ favorite gum ball butterflies, simply wrap the bottom of the toppers (the part that will touch the cake) in Glad Press’n Seal and place on the cake to create a healthy barrier and the cutest party cake ever for your blushing girl’s party. 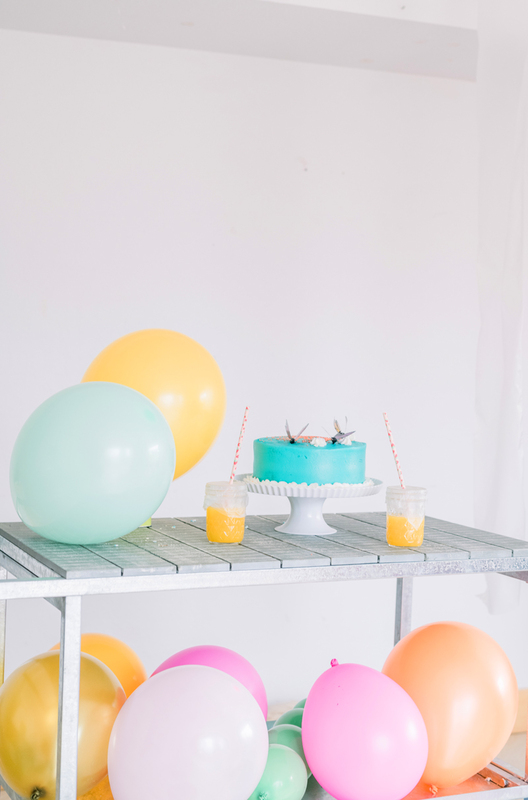 Grab all your party hack supplies quickly and easily at Target!